Delhi Greens, Compassionate Living and a series of like minded organisations and individuals invite all concerned citizens of Delhi to the release of a booklet listing the 100 most suitable trees for Delhi NCR by Pradip Krishen. The booklet is entitled, “Pradip Krishen’s List of 100 most suitable trees for Delhi NCR”. Venue: Lecture Room 2, Indian International Centre Annexe, New Delhi. Delhi has many trees, and we need many more. With increased pressure on the availability of land for plantation, it becomes essential to plant the right trees. 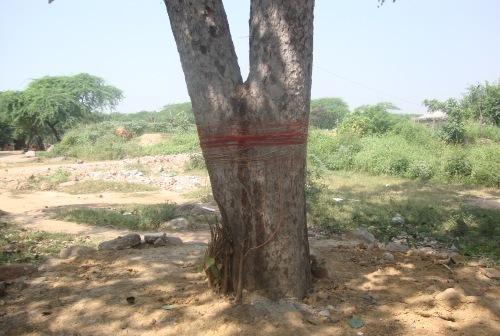 The booklet entitled “Pradip Krishen’s List of 100 most suitable trees for Delhi NCR” introduces some common and some very rarely spotted trees that survive best and more potential to contribute to the biodiversity of Delhi NCR. The organisers have the honor of having the booklet released by the Chief Guest of the release function, Shri O.P Jain (Founder Member of INTACH and Sanskriti Foundation) and Special Guest Shri Subhash Chandra, DIG, Forests, Forest Policy & Forestry International Cooperation in the Ministry of Environment and Forests, Government of India. Those who can join us at IIC a little early (around 5.30 pm) can have the privilege of meeting Tibetan Master Calligrapher Jamyang Dorjee who will take a short workshop on tree.